Staying "on" in the "off" season. The perfect fall kicks are the Reebok Floatride runners. The seasons are changing, it’s getting darker earlier and colder weather is looming. Routine tends to change as we head into Fall and Winter and it’s best you get ready for it now. Social events can become few and far between until they spark back up around the holidays, some people even feel the onsets of S.A.D (seasonal affective disorder). Don’t think about it too much, or let it sink you. This is the “off” season and it’s time to turn on your drive for a healthy lifestyle. It’s easy to fall back into bad habits and find comfort in food, but challenge yourself to make conscious efforts and stay aware of what you’re eating and doing. The best way to get yourself on track is to start small with your goals. Cut one 'poor choice' out of your diet every week and see how it makes you feel. As you’re cutting things out of your diet, make sure you’re adding activity in, and more nutritious options. A workout in the morning, or a lunch hour walk are both great options. The sooner you start, the better. You don’t need to wait until “Monday” or the 1st of the month. Start today. The Mandy Gill app is here to help you work out from home, that way there's no excuses. [Mandy Gill APP]. Another great tip is to prepare snacks in the morning for the rest of the day. Our worst eating habits are in the mid afternoon (when we typically crave sugar) and in the evening after dinner. Food diaries have been proven to work, that’s how I am able to track my progress. I kept a diary of what I put into my body, which allows me to easily pinpoint the days that I wasn’t feeling myself following 'poor choices'. You can add two categories to your diary, “on” and “off”. When we are “on” we are unambiguously ourselves. We are clear minded, we are in alignment of our bodies and minds. When we are “off” we feel a brain fog and we make poor diet decisions. If we can be more aware of when we are “on” and “off” we can correct our decisions faster and get back on track. 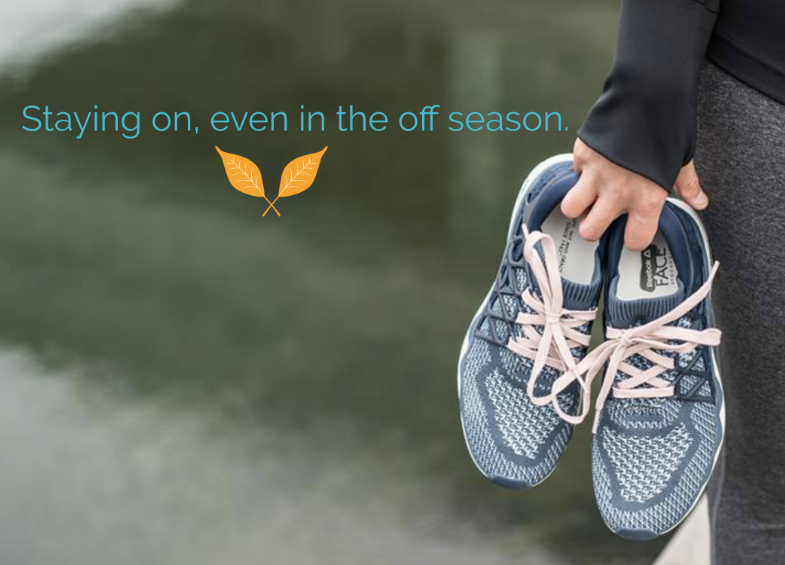 Do you have any tips for how to stay "on" in the "off" season? Share with us! Dessert Done Right: Taste-Tested & Approved (even by non-vegans)!